By the time the realization sinks in me that a new year has begun, it is already march and springtime. Young people are more eager, almost as if ready to break into a run; it is probably the fire that burns in their energetic lives. People come to the dojo for different reasons. In the case of school-age beginners, this generally happens when they are invited to take part by older students in the school they attend, or because they take advantage of what is on offer at their school. 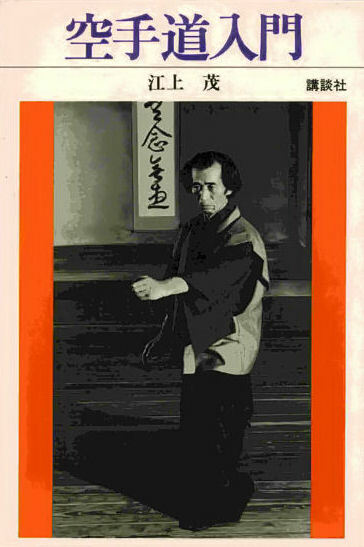 As far as older beginners are concerned, they may have caught sight of the sign of the dojo from a train window, or discover it in the course of a casual walk, or else because a friend has talked about it. The motivation to start practicing is probably quite simple: either the desire to become stronger, both physically and mentally, or simply the willingness to get involved in the latest trend. It is among these that the motivation behind the first step towards practicing is probably to be found. Whether it is fitness maintenance or the improvement of one's physical condition, aesthetic gymnastics or ethical exercises, the motivations are varied, some of then really basic, and it is right it should be so. In spite of this, however, when people first become pupils they inevitably experience certain nervousness. 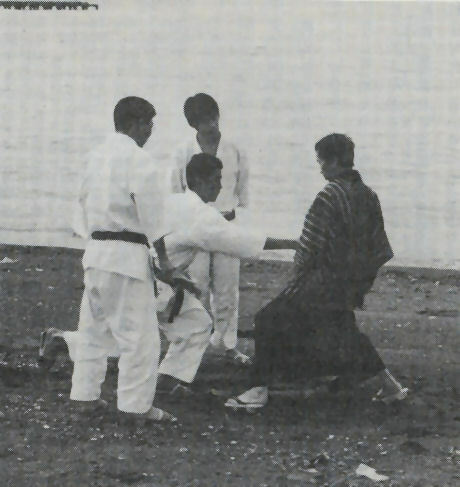 Nowadays dojos are to be found everywhere, and karate is discussed on television, in magazines and in mangas. People may have the impression they know quite a bit about the subject, but when they start practicing they feel a degree of tension, which is a totally normal reaction when becoming part of a new world. Everybody is always a bit worried when first setting out to discover something new; the important thing is to face the new circumstances with humility and spontaneity. Once accustomed to a new experience, however, pupils are quick to feel they have understood everything; they give personal interpretations, and feel there is nothing left to learn. The daily routine of practice become monotonous, and seems almost superfluous, void of meaning. The aim of practice and its fruits are elements that each person grasps individually with time, each person in his or her own way. The understanding is thus personal and can only be achieved with constant commitment. At the beginning practicing is nothing more than imitation which gradually turns into learning, and once internalized into understanding. All this is clear only to those who persist because at first the body does not move the way one would wish, in fact, more often than not it does the opposite. Gradually, however, the body starts to work the way it should and little by little pupils move better until the moment comes when they react to the adversary's stimulus with natural movements. This is how it goes and it is thus that the problems of body and soul arise. I ask you only to believe the words of your superiors and suppress any preconceptions, to imitate their actions and grasp their essence thus making it your own, each one in your individual way. Practice is knowledge of oneself through relationship with another, it is real self knowledge but also an instrument of development of the knowledge of one's potential, a way of enriching one's existence. I believe that the karate life is truly exceptional. Its inexhaustible content is profound and mysterious and each of us has the task on unearthing it and grasping it. Never stop, never make do. As we say :"You must never lose the beginner's spirit." I would like you to think of practice as a life commitment to	be faced always with seriousness, passion, modesty, honesty and patience.